Chesterfield FC manager Martin Allen refuses to dodge the bullets – a plain speaker who says it as it is. The date will hold no significant importance to most people. But for Spireites boss, Martin Allen, it is a night that he remembers well. He had just watched his Chesterfield side lose 3-1 at home to Maidenhead United in the Vanarama National League, extending their winless run to 10 matches. After full-time, Allen and his backroom staff stayed behind for six hours analysing where they were going wrong. The result from that inquest was that they had to go back to basics. They had to change their game plan. Among the changes made included reducing the average age of the squad, changing formation and giving the younger players a chance. What followed was not a string of wins - they have still not won in the league since August 11 - but the Spireites achieved credible draws at FC Halifax Town, Wrexham and Harrogate Town, as well as a strong 3-1 victory away at AFC Fylde in the FA Cup. It was "progress", Allen said. 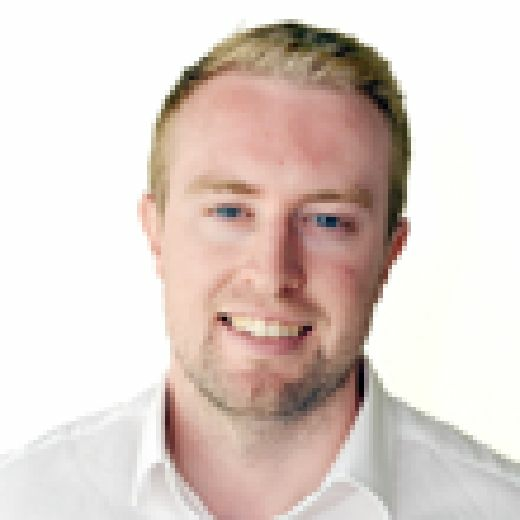 For those who may be unaware of how far the Spireites have fallen in recent times, in May 2015 they were dreaming of a place in the Championship after reaching the League One play-offs. They lost to Preston North End in the semi-finals, and have since been relegated two divisions and plummeted out of the Football League. A sorry tale for a club which reached an FA Cup semi-final in 1997. Last Tuesday, he spent more than two hours answering questions from season ticket holders at a Q&A at the Proact. Before the meeting he promised openness and honesty - and that he certainly delivered. There was some colourful language, laughter and a side of Allen some supporters may not have seen before. He told of growing up in a working class family and how maximum effort, passion and honesty were at the heart of everything. At one point, the 53-year-old showed his vulnerable side - very different from his 'Mad Dog' nickname. He stood on stage with his chest out and spoke softly about how when had been feeling low after the Maidenhead defeat, he was visited by his sister who gave him a hug, reminded him that he had won two league titles previously and to get back out there and show what he can do. There were times during the Q&A that he seemed like he was holding himself back, very aware of his responsibility not to say anything that would get him into trouble. One fan asked how he could justify saying they were making "progress". That seemed to get under his skin. He referred to the question again later in the evening. There were questions asked which brought laughter and amusement from the audience - but Allen did not laugh. The former West Ham United player gave the impression he was hurting. Perhaps more than anyone realised. He was applauded off the stage and rightly so. 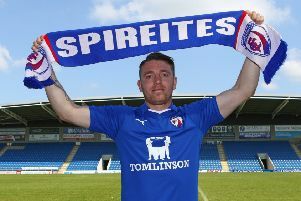 The Spireites may fall even further before the good times return, but Allen is certainly a man who will do everything to turn it around. Question: Where are the goals going to come from? MA: The players are trying their best. Last night we offered and we bid £50,000 for a player. I am not going to say any more. We had a striker last year who left. He scored 21 goals. We have lost 21 goals. That is a big hit for anyone to take. Question: In the view of the position that we are in, do you feel guilty, ashamed or embarrassed? MA: If I was playing golf every afternoon, going horse racing, turning up here at 9.30am and going home at 1.30pm and not training mornings and afternoons, making them come in more and more often to get it right, I would probably have that guilt about myself. Do I have guilt? If I was lazy I don't think I would be stood in front of you right now. Embarrassed? Not sure that's the right word - frustrated, disappointed, upset, sad - yes. Question: Do you think we have got a chance of getting in the play-offs? MA: We need a goalscorer. At the right age. Who is willing to run around with and without the ball. Question: What was your thinking behind playing Joe Rowley in front of the back four? MA: I ask him to play in the middle and wherever he can make himself available in tight areas. He has got the ability to pop passes forward and open the game up. Defensively he has been a good screen which has helped us on this unbeaten run. Joe will stay in the team now because I believe in him. Question: You spoke a lot of about September 25, but by that point we had eight losses, how come it took so long to make changes? MA: You have to have a certain loyalty to your players. Should I have changed it earlier? Yes I should.